Like many modern day relationships, this match made in heaven started online. 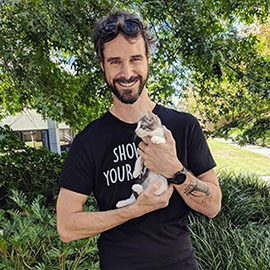 When Linda and Arjan adopted Stippie in 2005, they became one of the first success stories for a new start-up called PetRescue, a website aimed at connecting disadvantaged pets with Australian pet-lovers. 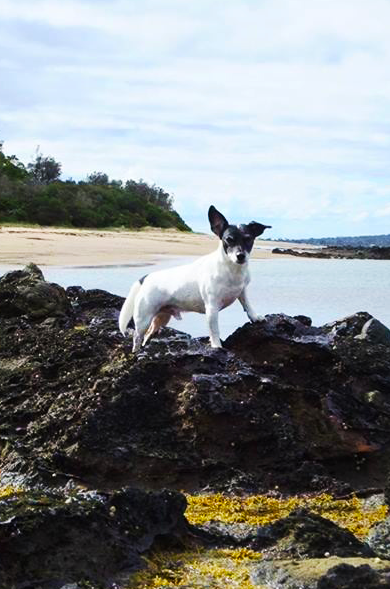 A decade on, and Stippie’s tale of unconditional love is an inspirational early chapter in the PetRescue story, exemplifying the journey of more than 300,000 rescue pets since the charity was founded 10 years ago. PetRescue caught up with Linda to talk about her PetRescue Happy Tail, learn about how their journey began, and hear about how Stippie has grown since finding his new forever home. “I had been living overseas and returned to Australia with my future husband. We spent about a year setting up our life in Australia, and both decided we really wanted a dog. “Even back then, getting a rescue pet really was as simple as heading online and starting our search. 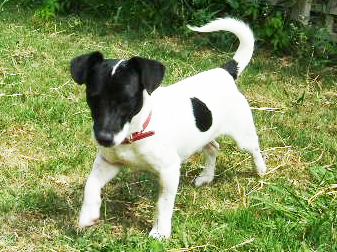 We found ourselves looking through the pages on PetRescue when we saw this picture and description of a small pup called Stippie - his short bio said he needed a household where he could really feel like part of the family. "It’d only been posted for a couple weeks when we called. We spoke with this lovely young woman, Jess. who had been rescuing dogs for years but was unable to keep them all. We just talked through our lifestyle with her, and explained that our mum had a Jack Russell cross, Daisy, of her own so that Stippie would have a companion, and she was sold. Linda and Jess then made plans to meet up and talk about the adoption further - nothing flash, just a casual chat at a football oval near where they both lived. Eager to impress, Linda took Daisy along to see how she interacted with Stippie - and they hit it off instantly. “They just ran around together whilst the two of us talked about Stippie. Jess spent a lot of time watching how they interacted, and how Stippie responded to being around me to ensure that we gelled as a family. He came and jumped up with his front feet on my lap as if to say “come play!” and I think Jess knew then that we’d get on well together. “She told me right then and there that Stippie was a part of our family now - she was sad to see him go, but glad we hit it off. “We brought him home that afternoon and it was evident right away that Stippie hadn’t had a lot of interaction with men - or if he had, they’d negatively affected him. At first, he was rather timid around my husband Arjan, and everytime he would walk through the door Stippie would try and hide. We were piecing it all together and came to the conclusion that something had affected him before Jess took him under her wing. “Over time, we put in a lot of work to gently calm Stippie and ensure he felt more secure around our family. He’d obviously had a tough past, and it was really encouraging to see that turnaround happen. After a while, he became a lot more trusting and friendly around others, and we made sure that we had friends over for tea regularly to expose him to lots of people. He’ll be sitting under the table, eagerly nibbling away at tidbits - it really helped him build that trust back. "Now he goes everywhere with us. My mum is part of a local walking group, so during the week Stippie lives this double life where he gets taken out for walks by my Mum’s retired friends - I don’t know what he gets up to, he has such a great social life! “Rescue is a really great way to support animals in need, and adopting is a great way of speaking out through action against unethical puppy farms or unethical breeders. I think it is more commonplace for people to talk about and consider rescue than it was ten years ago, and not as many people are asking questions like “what’s wrong with the dog”. It’s very important to grow this discussion and talk about these myths, to break them down and counter them with something positive. 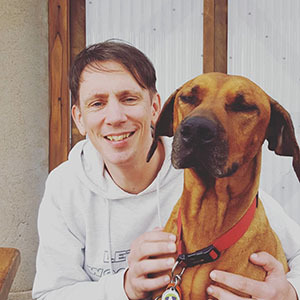 “It is wonderful to be apart of the early years of PetRescue, and to see how the charity, and rescue as a whole, has evolved. I’m very nostalgic and have even kept Stippie’s original PetRescue profile bookmarked on my computer and remember his PetRescue ID tag off by heart. And the best part is, Stippie is like the living version of the PetRescue logo!"